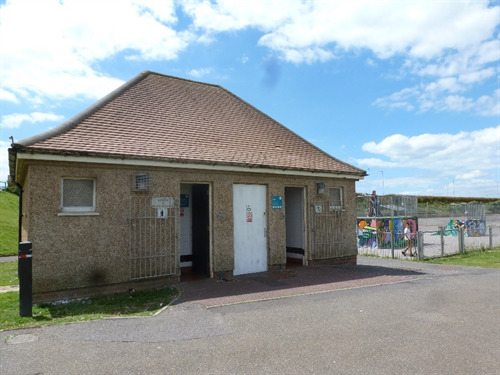 Seaford Town Council has been working closely with Sussex Police in search for vandals causing damage to the public toilets at the Salts Recreation Grounds. The occurrences are more of a long line of incidents experienced across the recreation ground over the last 2 years. However, recently throughout June the toilets have been focus of vandalism, causing damage to the facility such as the lights, doors, and access for the disabled individuals. Cleaning contractors were also victims of verbal abuse as the individuals have set fire to toilet necessities earlier on. Not satisfied with the damaged done, at the end of June a fire was lit inside one of the toilets, which could have resulted in the loss of the entire facilities. Lewes District Council who manages the cleaning contract and the maintenance of this toilets has been left with no other choice but to close the facility at 3pm each day. Resulting in the loss of the service to visitors. Seaford Town Council and the Sussex Police are working actively to pursue the offenders in order to address and justify their actions – actively seeking any supporting evidence in order to identify those responsible. The council is urging residents to be vigilant for similar activities and encouraging community action in reporting any criminal behaviour that is witnessed in parks and throughout the town. If offenders are not identified and apprehended repair costs of this nature are often met entirely by tax payer, particularly if insurance claims are not cost effective for the level of damage. Moreover, the ongoing disturbance will only cause disruption to town’s property and the resident’s safety. By using the 101 non-emergency line this ensures that a record is logged. If the incidents are not reported, also they are not reported as soon as the evidence comes to light then Sussex Police have little to work on. If 101 lines are busy, you can also report incidents quickly online by using www.sussex.police.co.uk and following the ‘Report Online’ link.